Verbs are words that tells an action. It have several tenses that might change the meaning of a certain sentence. Most of the errors in grammar are about the tenses of the verb. Worry no more! 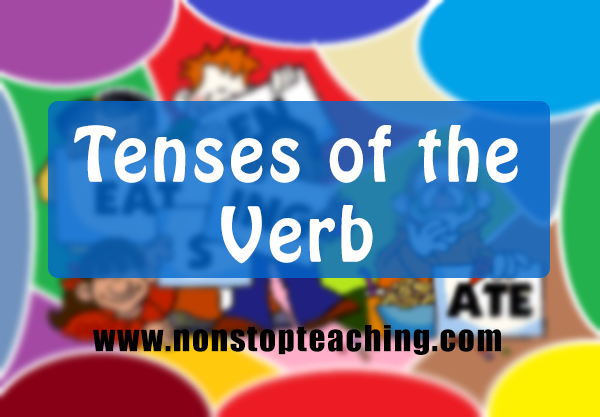 because we'll discuss here in this article the different tenses of the verbs and their examples. Verbs in the present tense express habitual or factual actions. Verbs in the past tense express actions that happened in the past. Verbs in the future tense express actions that will happen in the future. Verbs in the present progressive tense, express actions that are happening at the moment. This expresses a continuing action that started and ended in the past. She was singing all afternoon yesterday. This expresses a continuing action that will happen in the future. She will be singing in the competition. This expresses two past actions, in which one happened before the other. She had sung before she danced. This expresses two future actions, in which one will happen before the other. She will have sung before she dances. This expresses an action that started in the past and still happening at present and will most likely continue to happen in the future. She has been singing since this morning. This expresses two past actions, where the first one was still happening when the second one transpired. She had been singing before the bomb exploded. This expresses two future actions, where the first action is still happening when the second one is transpires. She will have been singing before the bomb explodes.